UberEATS offers a revolutionary way to have the food that you like and love delivered directly to your door. There are hundreds of different restaurants to choose from when you make use of the handy (and most of all free) UberEATS app. Had a busy day and you’re not sure what you feel like eating? Let the UberEATS app inspire you. 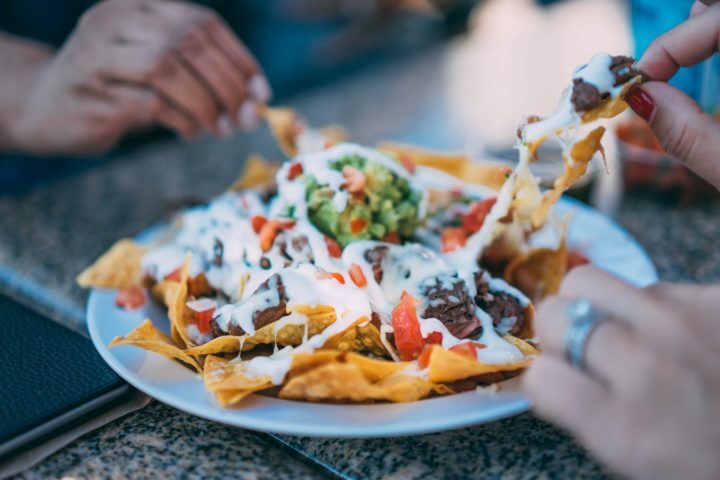 Browse different options, such as specific cuisines, or browse through restaurant and meal descriptions posted by those that ordered through UberEATS before you. You’ll never be without inspiration. All the food you could want to have delivered is available to you through the touch of a button. Want to give ordering food this way a go? Make use of our UberEATS coupon code and get $5 off! You won’t need to look for cash in your purse when ordering any food through UberEATS. If you want you can easily add a card to your payment options. From that moment on your card details can automatically be used to pay for any orders you may place in the app. As a great incentive, we’d like to invite you to try the easy UberEATS food delivery service. Simply grab our UberEATS coupon code $5 off offer and enjoy your meal! As soon as your order has been put through to your favorite restaurant you can count on a fast meal. The restaurants listed in the UberEATS app all know how to deliver a great and nutritious meal in very little time. As soon as the chefs are getting close to finishing preparing your meal, the nearest Uber driver will pick up your order and deliver it to you. This way your food always arrives fresh and steaming hot. You can check who is picking your food up and will deliver it to you. You can see the ID of the Uber driver and it is possible to see where your driver is at any point in time. This way you can count on a speedy delivery at all times. Ordering a takeaway meal can be problematic for those with food allergies or specific dietary needs. There is no reason to worry if you want to order food by using the UberEATS app. Most restaurants offering meals through the UberEATS app are very happy to add or omit specific ingredients for you. Do you have any special requests or comments for the chef? Make sure to leave these in the comments section with your order. Want to tip your Uber partner who delivers the food to you? Feel free to do so if you want to, but this is never expected or desired. Were you happy with the service provided? Leave a positive review! In addition to occasional special offers for meals by the restaurants that are featured in the UberEATS app, there are more ways to save money when ordering your food the easy way. We are now offering you an UberEATS coupon code to get $5 off your order. This code can also be used if you have placed orders before. If you want to make use of an UberEATS coupon code for a discount its good to keep in mind that these coupon codes usually have a limited time of use. Make sure to not miss out on a great deal and use your coupons before their value runs out! Simply add the UberEATS discount promo code to your account. The most recently added code will be used on your order. Any coupon codes can only be applied to one order, unless stated otherwise. It could not be easier. 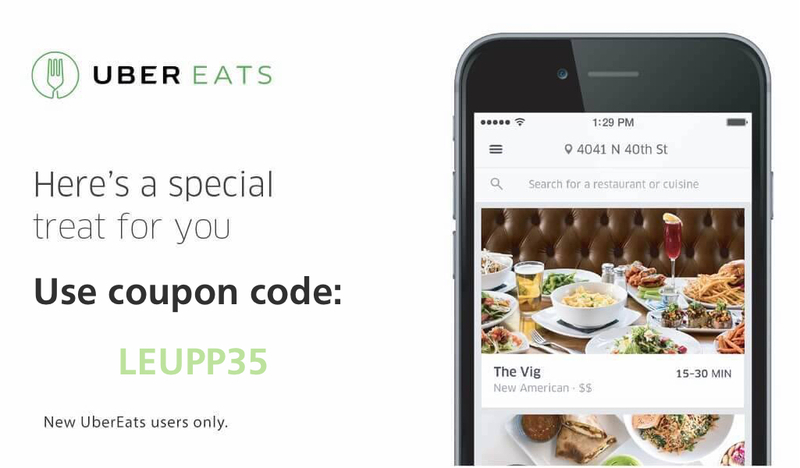 Do you want to use our UberEATS coupon code to get $5 off? Simply enter the unique coupon code to the correct field at the bottom of your order screen. If you want to add a promo discount code to your account for later use, simply make sure to add the coupon code in the correct way. Simply go to your profile in the UberEATS app. You can do this by tapping on the profile icon at the bottom of the main screen in the app. Tapp the Promotions icon and simply add the new coupon code that you received. You can then apply the code to an order, as long as the code is of course still valid. You can make use of your Uber credits to pay for your UberEATS order. Of course this option is only available if you have plenty of credits available in your account. If you check out your payment methods in your profile you can check ‘credits’ as you (additional) payment method. This will show you the available credits. You can make use of your personal UberEATS invite codes by sharing them with friends, or on social media. This is a great way to earn extra credits, making ordering food through UberEATS even cheaper. Offering an UberEATS coupon code for $5 off? Do you run a restaurant or a great breakfast or lunch place? Do you want to introduce your food to new customers and offer your meals through the handy UberEATS app? Make sure to get in touch with the team behind UberEATS. Keep in mind that we want our connected businesses to offer the highest standard in quality food. Can you live up to our expectations and those of our valued costumers? Get in touch and offer new customers a great incentive to order from you with an UberEATS coupon code for a great discount. Make sure to grab your UberEATS coupon code to get $5 off your meal and experience how easy it is to get quality meals and any type of delicious (and healthy) food delivered to wherever you are.